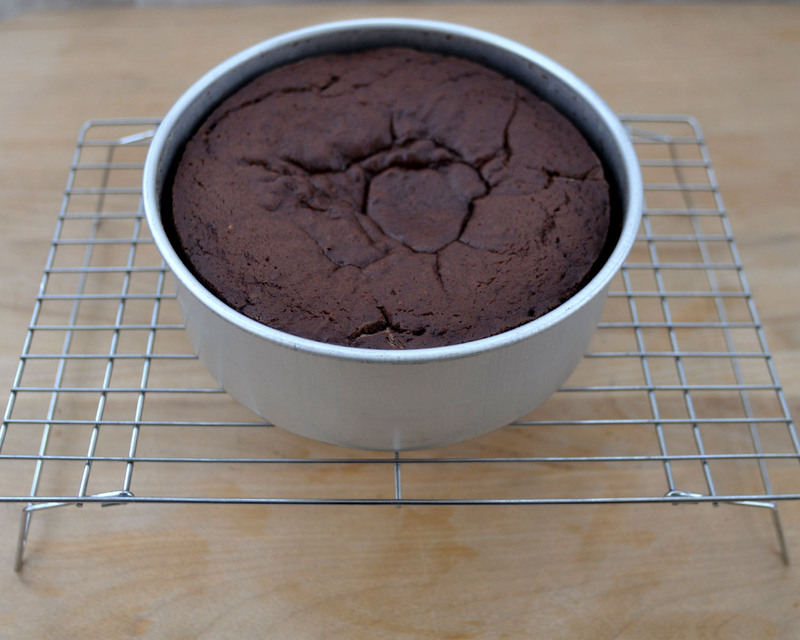 Cake, baked and cooled completely. 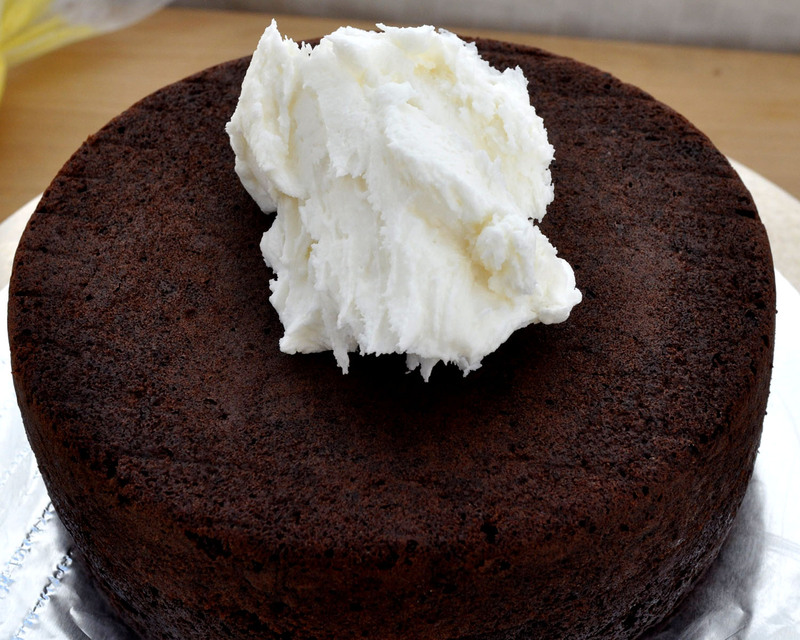 The first thing you need to do when preparing to ice a cake is get your cake ready. Keeping crumbs off of the cake actually starts before you even bake it. You know how the baking directions say to grease and flour the pan? Don't do that! When you butter the pan, then add flour, that makes crumbs. I usually use Wilton's Cake Release, but you could also use either a cooking spray or a paper towel with shortening on it to spread in the pan. If you have a sticking problem, use a round of parchment paper cut and set inside the bottom of the pan, sprayed with cooking spray. 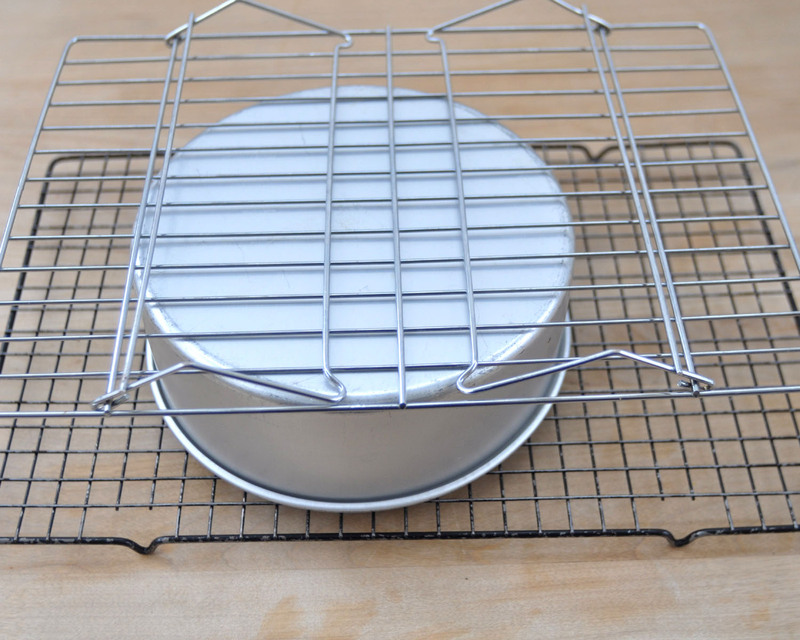 Then, once the cake is baked, you always want to set the pan on a cooling rack/grid to cool. If you set it directly on the countertop, you get a gummy cake bottom that sticks and/or makes more crumbs. 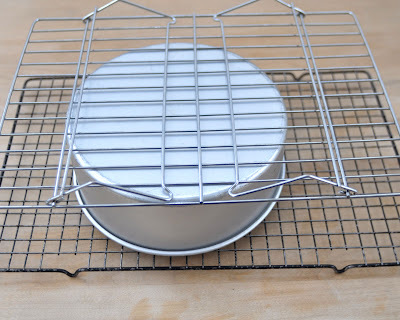 About 7-10 minutes after you take the cake out of the oven and onto the cooling rack, always flip the cake out of the pan onto a cooling rack. If your cake is very domed on top, flip it over again to cool on it's bottom, otherwise, you risk a split cake. 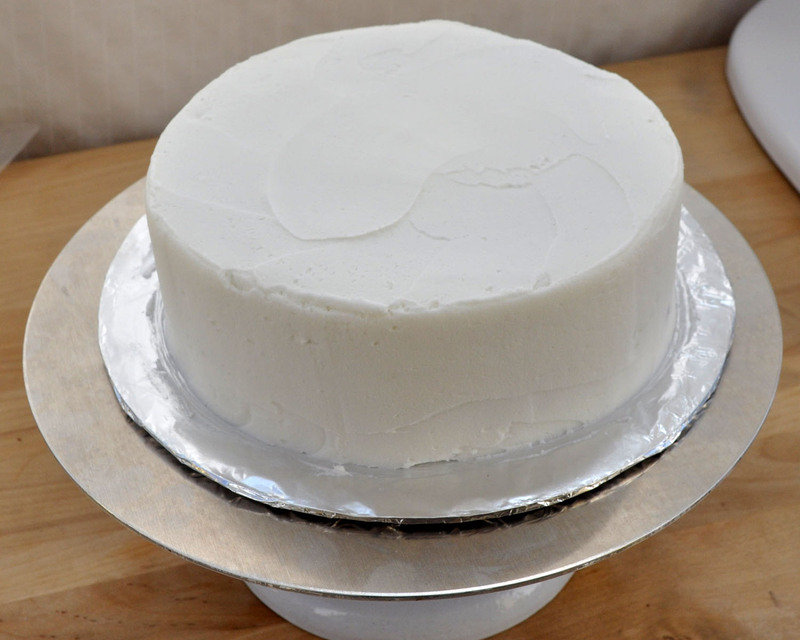 When you ice your cake, you always use the bottom of the cake as the top. Why? Because the top of the cake, if you don't level it has that kind of sticky consistency that just peels off with the icing. That makes crumbs. And if you do level your cake, then you're trying to put icing on to cut cake, which 99% of the time means crumbs. 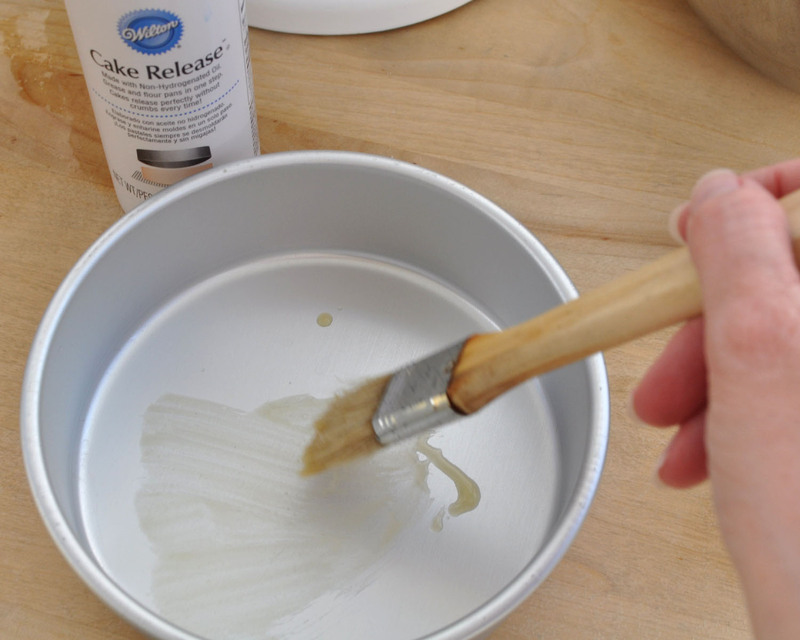 So, when you've flipped your cake over, if you notice a lot of crumbs, use a pastry brush and get rid of them. The more crumbs you wipe off of your cake now, the fewer that will be there when you start icing it. You want a thin consistency icing to cover your cake. (Find my Basic Decorator's Icing here.) 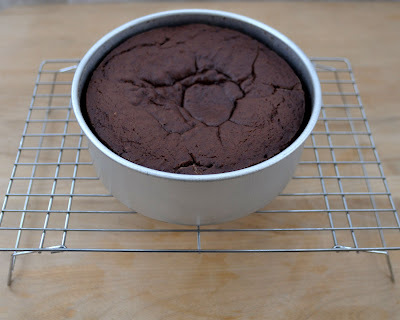 The icing from the can, I think, is often just a little more stiff than I'd like to cover my cake. 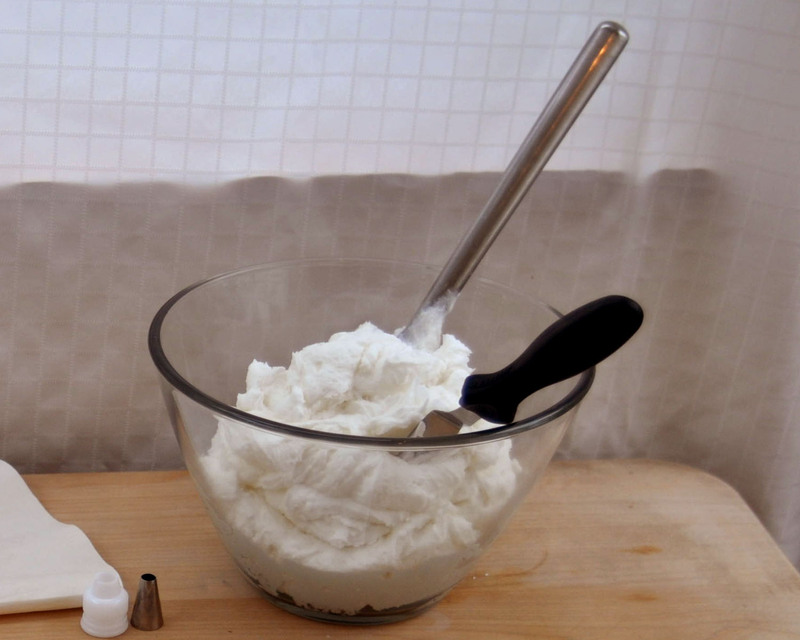 So, how do you know if your icing is the right consistency? - It pulls back from the cake when you're spreading it. - Your spatula can stand up straight in a small container holding the icing. - It glops off of the spatula when you're trying to move it to the cake. Okay, so your cake is ready, your icing is just right, now what? When you are new to cake decorating, I always say you can never have too much icing on a cake. So, to start icing the cake, I will pile a large blob of icing on top of the cake-- maybe 1 or so cups worth on top of an 8" or 9" round cake. 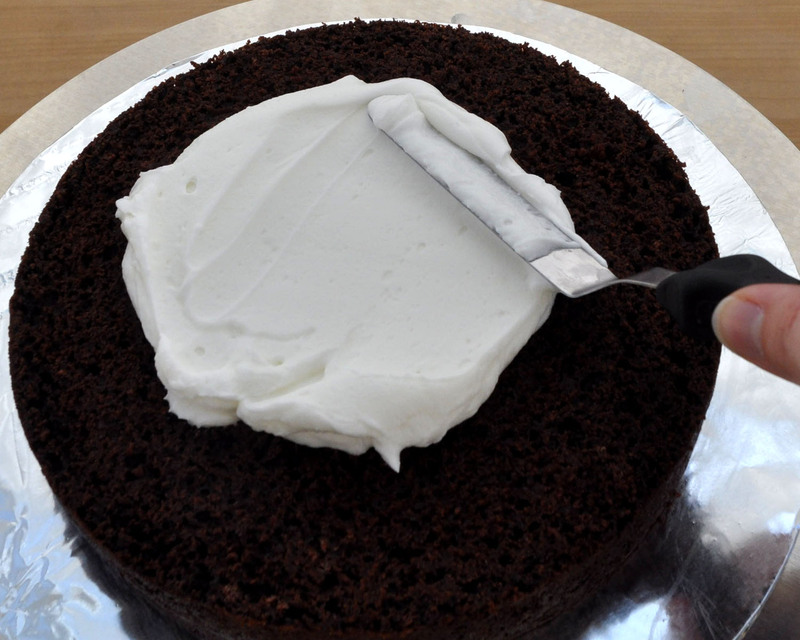 Then take the back of your spatula, and ALWAYS keep icing between the spatula and the cake! Never let the spatula touch the cake. That's when you pick up crumbs. 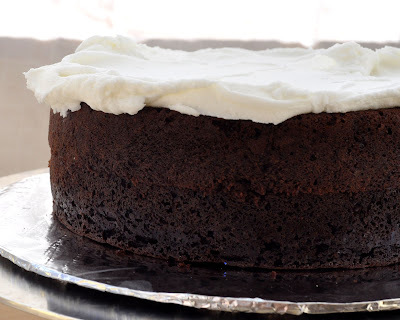 You want to think about pushing the icing around the cake, not really about spreading it or about smoothing it. First, you just want to get the entire cake covered with icing. When you get to the edge of the top of the cake, DO NOT go over the edge. Stop when you get to the top edge, and come back to the middle. If you go off over the edge... crumbs. You want to just push that icing to the edge and let it hang over like a snowdrift off of a Minnesota roof in January. 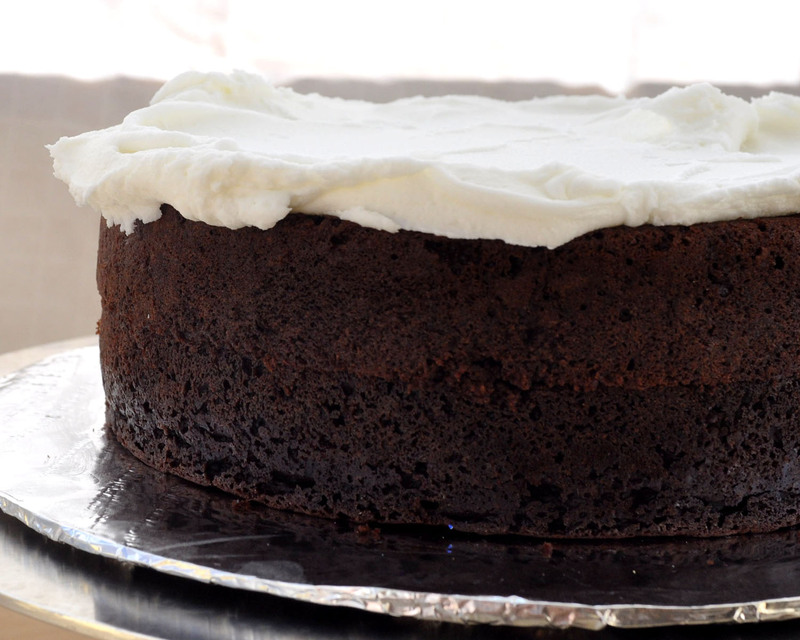 Once you get the entire top covered and "snow-drift-ed," you want to start on the sides of the cake. The sides took me a long time to get right, so give yourself a cake or two (or two dozen). For the sides, the biggest mistake I see students making is that they don't have their spatula parallel with the cake. 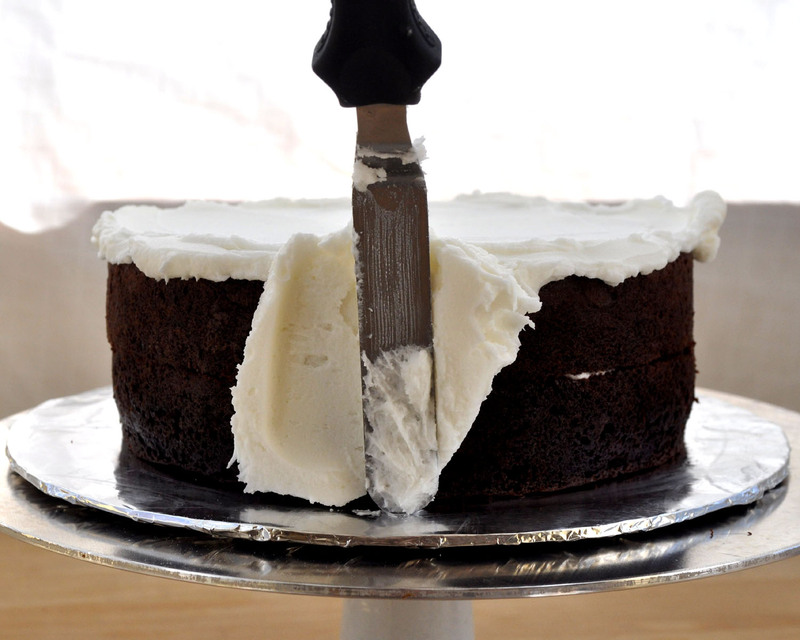 Often I see that the bottom of the spatula tilts away from the cake, and the top tilts in toward the cake, leaving you with a rough top "edge." So, be sure you are parallel with the side of the cake. Work the sides in small sections (about 2-3 inches at a time). 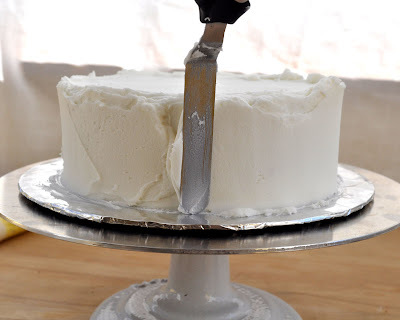 Load up icing on the back of your spatula, and just kind of "wiggle" the spatula back and forth to get it to stick to the cake. Again, don't think about spreading or smoothing at this point. Just think about getting it covered. 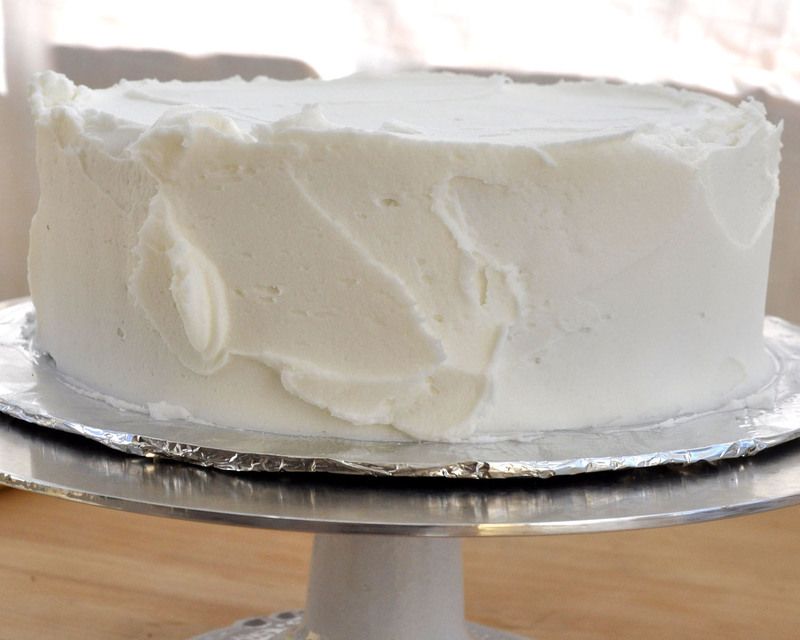 Once you've covered every inch with icing, now we talk about smoothing. When you get the sides smoothed, you now probably have a "crown" around the top where those "snowdrifts" have drifted up. 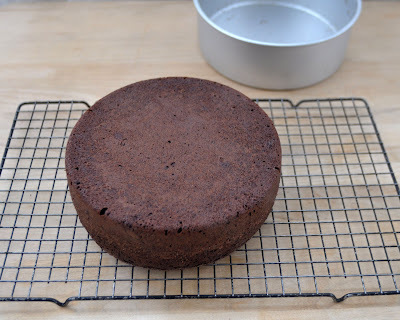 Working in small sections, (if the cake were a clock, I work at the 12:00 position first), I gently smooth that crown in toward the center of the cake, turning it, and working all the way around the cake until the "crown" is gone. 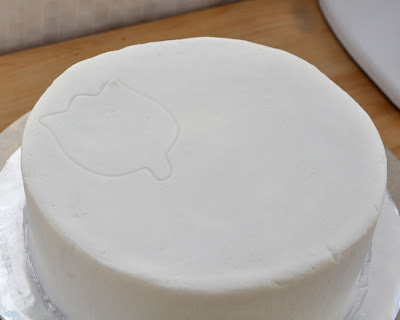 To finish it off, I try to do one or two large circular strokes around the top of the cake to smooth it. 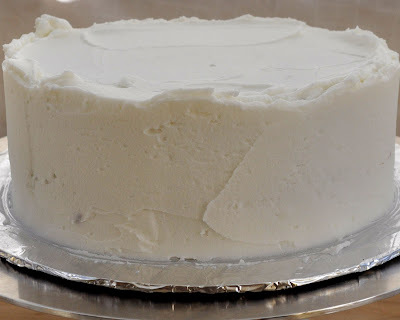 Bonus if you have a "crusting icing"
If your icing is a crusting icing, which sounds gross but isn't, you can further smooth the cake, once it's set and crusted. To see if your icing is set, you want to touch it lightly with a finger. If any icing sticks to your finger, it is not set. DO NOT GO ANY FURTHER! 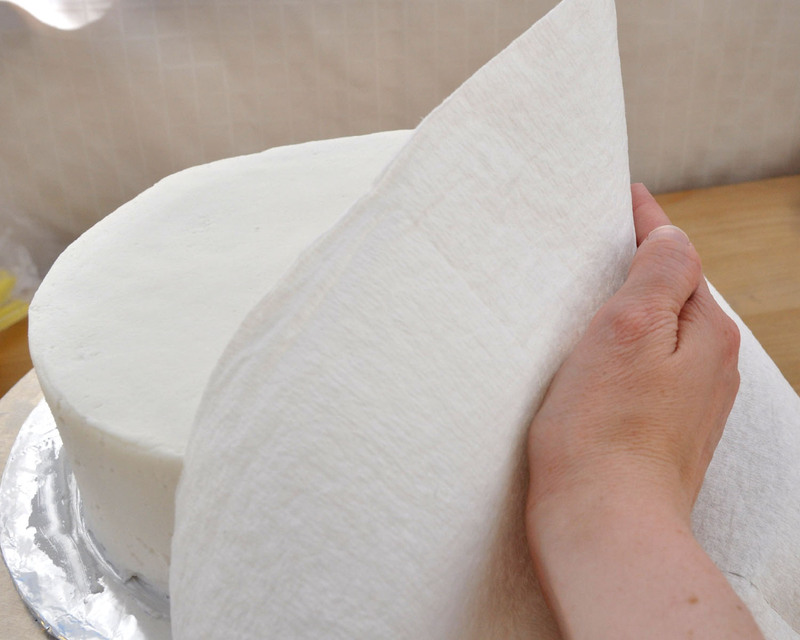 If it is set, lay a "Viva" brand paper towel (because it is not embossed) over the top of the cake. Lightly rub, using your palm, in a light, circular motion, removing extra air bubbles and lines. 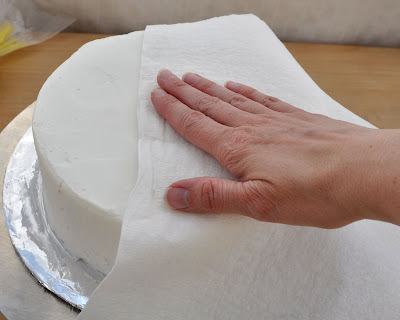 To do the side, lay the towel against the side, and again use your palm to smooth it. And voila! You have a perfectly iced cake with no - or very few anyway - crumbs.